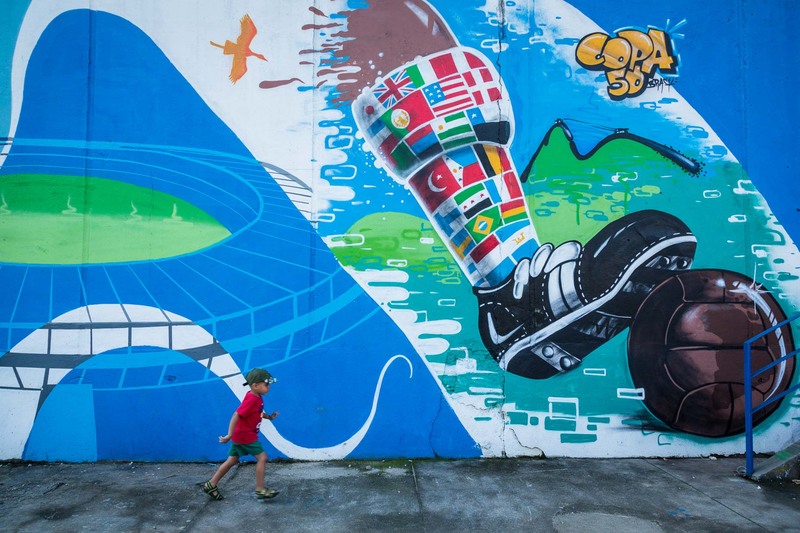 A little boy runs past a mural depicting the infamous defeat of Brazil against Uruguay by 2-1 in the 1950 World Cup held in Brazil in the packed Maracana stadium. The country has never forgotten this most painfull of defeats on home soil. Brazil is hoping to put this right with the 2014 WC, Rio de Janeiro, Brazil.